FeedSync 3.0 now includes an update system so this should be the last time you need to manually update FeedSync when you have a valid and active license key set. Download the latest version of FeedSync and unzip it on your computer. Pause your WP All Imports. Transfer the new core directory and index.php file. Open FeedSync so it can load settings from the previous version and test your output URL. Update the config file with your username and password. Re enable your the WP All Imports. 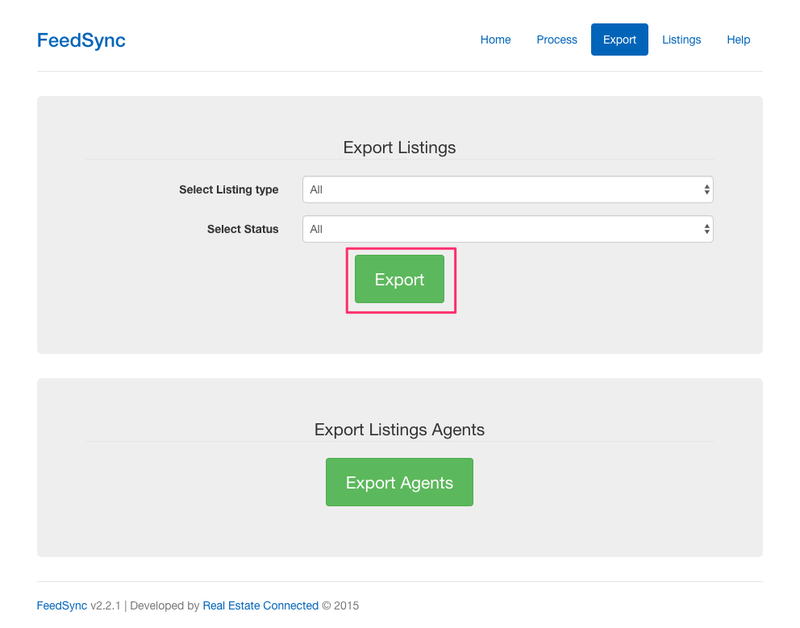 If you are using WP All Import Pro to import your listings into WordPress you can quickly disable all your imports from running by changing your secret key from WordPress by adding DISABLED- to the key which we will later remove. No need to log into the server and edit your cron jobs. Visit Dashboard > All Import > Settings and insert DISABLED- before the secret key. Login to your cPanel or hosting system file manager and navigate to your XML directory. and select the feedsync folder and press Compress to generate a zip file of your current version. On your computer open the feedsync directory and rename the index.php to index-new.php also rename the core directory to core-new and Zip/Compress that directory ready for upload. Note: its much faster to upload a single zip file and uncompress it on the server then using FTP as there are a lot of new files. From the hosting/cPanel file manager enter the feedsync directory and press upload. 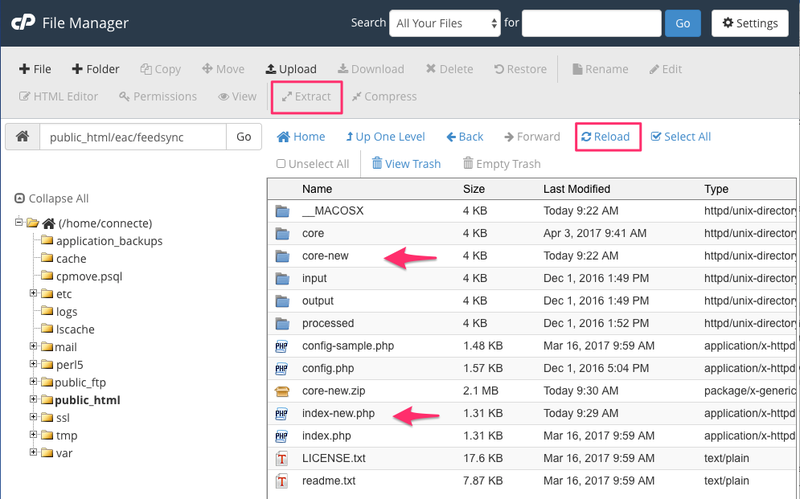 Upload the index-new.php, config-sample.php and the core-new.zip file into the feedsync directory. Once uploaded reload the page and you'll see the new files. Now Extract the core-new.zip file and Reload the page. Now you can visit your FeedSync installation from your browser and you will be greeted with the login username password page. In order to be able to use the nifty automatic update feature in 3.0 you need to create a folder called upgrades in the feedsync directory. 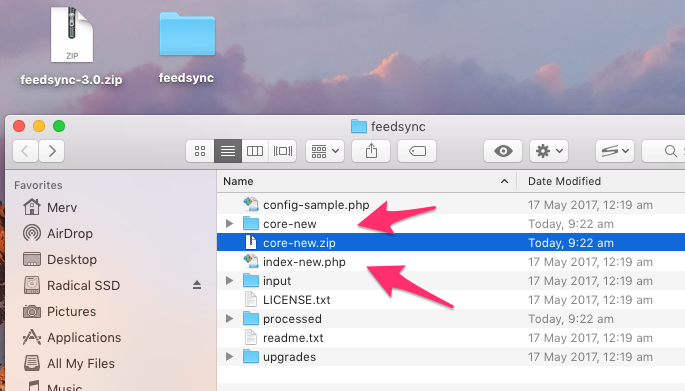 When you open FeedSync for the first time after performing the upgrade it will copy all the settings from your config.php file and store them in the options database so you no longer need to edit the config.php for most settings. The new config-sample.php file is a lot simpler now and you can either use the new one, be sure to copy the database settings before you do. In this example we are just going to add the username and password settings to your existing config.php file. Edit your config.php file in the Hosting/cPanel file manager and insert the following lines. Set the username and password. If you forget what they are in the future, open the config.php file and you will see. The default is admin/password. Next visit the FeedSync > Help page and copy the output url and paste into your browser so check that the data is there. Using Google Chrome displays a nicely formatted XML file. Last step is to remove the DISABLED- from the Dashboard > All Import > Settings in WordPress. If you have any issues with your upgrade, let us know at support.